Last GeOnG 2018 newsletter: after-movie, videos of the roundtables, please fill the survey! THE AFTER MOVIE IS OUT! 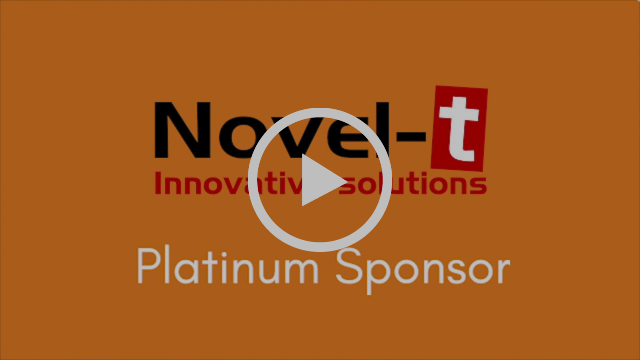 Relive this year's edition by watching the 2018 GeOnG after movie! Thanks to the students of the Department of Multimedia and Internet Professions of the IUT of Chambéry, University of Savoie for their work, and thanks once again to all the participants, speakers, volunteers & sponsors who made the conference possible! - Evaluations of IM projects and strategies: a forgotten or impossible step? - Beneficiary data: the forgotten component of the GDPR implementation? - What business model for digital commons in the humanitarian sector? - "Good enough" in an emergency context. Sharing experiences from the field. - User centric design of tools in the humanitarian field. - Interoperability and display of time dimension in spatial data. 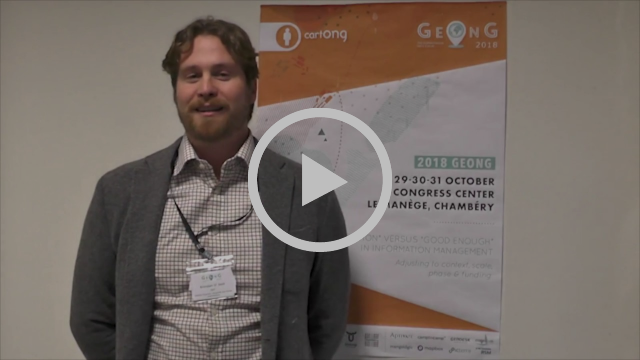 As you may have seen in our previous GeOnG newsletter, the videos of the 2 plenary sessions, as well as the video of the lightning talks have also been published last week. You have until the end of November to fill out the satisfaction survey! We hope that as many of you as possible will do so as this is an important way for us to keep improving the format and agenda of the GeOnG Forum. If the satisfaction survey isn't your cup of tea, feel free to contact us to give us more detailed feedback at: geong@cartong.org. Thank you in advance for your help! Enjoyed GeOnG? Forward this newsletter to your network to raise awareness about the conference and help convince more humanitarian workers, development actors and IM & GIS specialists to attend in 2 years! This is our last GeOnG newsletter for a while... Stay updated about CartONG's news and events, and be the first to know about the next GeOnG by registering to our quarterly NGO newsletter via our website! You can also follow CartONG on social media for more information about our work and news about the sector, and visit our blog for tutorials on IM, GIS and MDC tools & practices.